Don’t miss out on a chance to upgrade your PC on the cheap. If this Thanksgiving and Black Friday wasn’t enough, there is still time to get some great deals on new SSDs this Cyber Monday. SSDs speed up everything from system boot time, to application loading. We’ve seen dramatic differences in old systems with just a simple SSD upgrade. The whole user experience is night and day compared to a hard drive when an SSD is used as an OS drive. 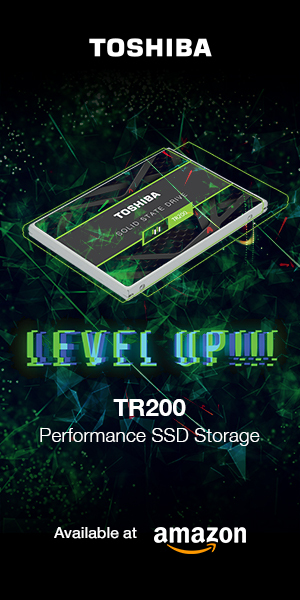 If this is your first time buying an SSD or you are a returning enthusiast who wants the most out of your purchase, be sure to check out our Windows Optimization Guide and our Learning To Run With Flash Series! 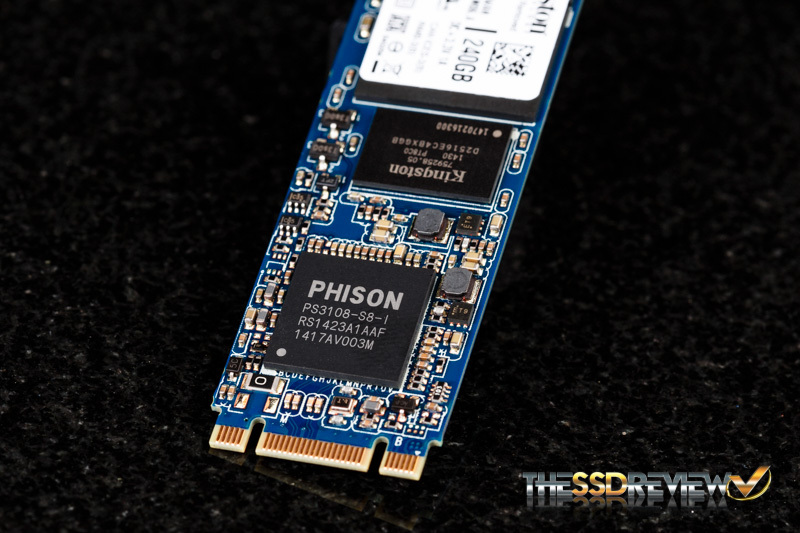 Now, back to the deals… After searching around Amazon a bit, we were able to see many of the same prices SSDs had been this past week. However, we did find a few more new ones, such as this Kingston V300 deal. Designed as a hard drive replacement drive, the Kingston V300 is an entry level 2.5″ SSD from Kingston. There are some really good deals going on at the 120GB and 240GB capacities. The Kingston V300 offers speeds of up to 450MB/s read and write. On the inside it is powered by a LSI SandForce controller. However, the NAND can be either toggle MLC NAND or asynchronous MLC NAND, the latter being slower with incompressible data. While that may be a downside to most enthusiasts, the difference in real world perception between a drive with toggle NAND and asynchronous NAND is very minute. And the overall user experience will be much better than that of a hard drive. Kingston’s SSDNow M.2 SM2280S3 is also still on sale. Check out its review here. 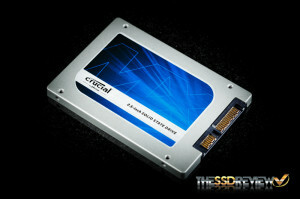 Crucial SSDs are still going for some good prices as well. The MX100 series SSDs utilize new 128Gbit 16nm IMFT NAND and a Marvell controller to allow for a plethora of enterprise features in a consumer product. The sequential read speeds on these 7mm 2.5” drives are up to 550 MB/s and write speeds are up to 500 MB/s for the 512GB model. Random high queue depth IOPS are rated at up to 90,000 read and 85,000 write for the 512GB. And they are backed with a three year warranty and customer support. Check out our review of the 256GB and 512GB models here. 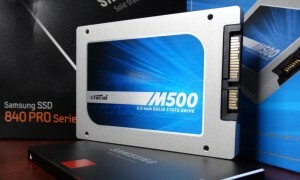 Their slightly older M500 240GB and 480GB models are at great price points as well. 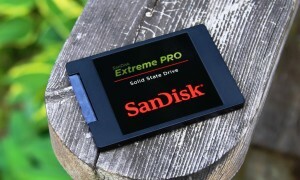 SanDisk’s Ultra IIs and Extreme Pros are still at some low prices. 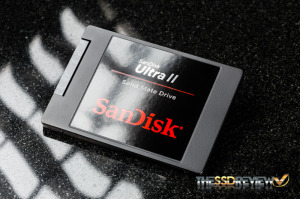 The Ultra II series is SanDisk’s mainstream series SSD. It utilizes TLC NAND and a Marvell controller in a 2.5-inch 7mm form factor. The Ultra II is rated for up to 550MB/s read and 500MB/s write speeds while 4K performance ranges from 80,000 IOPS to 99,000 IOPS. SanDisk is backing the Ultra II with a three year warranty. The Extreme Pro 240GB is even cheaper today at $134.99! It utilizes a Marvell 88SS9187 controller and SanDisk’s A19nm ex2 ABL MLC Toggle mode NAND. In our testing it performed exceptionally. It is a top drive in the market at the moment. The Extreme Pro was also the first drive in the consumer market to offer a ten year warranty. Talk about product confidence! 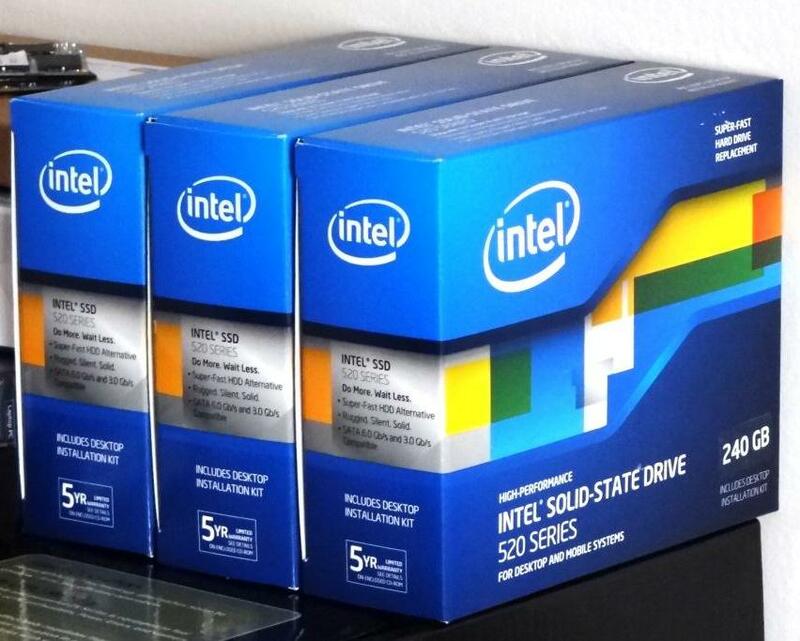 Intel deals are still on as well, they even have their slightly older 520 240GB going for a good price. 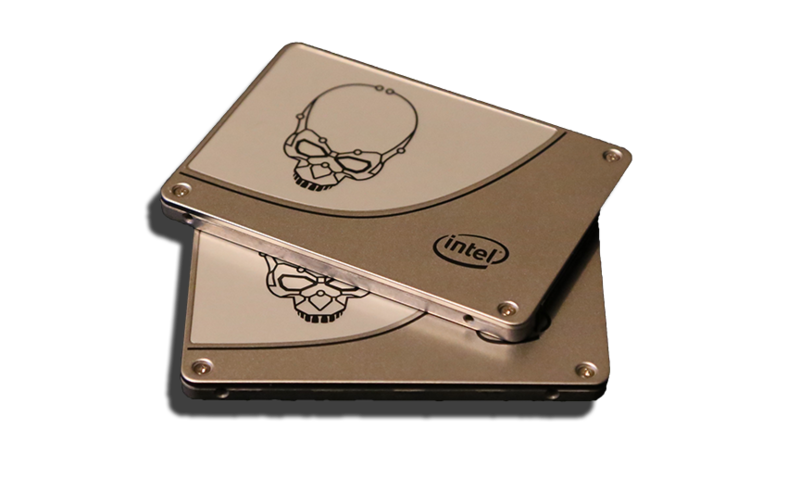 The Intel 530 series is Intel’s mainstream line of SSDs. They utilize a SandForce 2281 controller with their proprietary modified firmware and 20nm NAND flash. Sequential speeds are rated for up to 540MB/s read and 490MB/s write and IOPS are rated for up to 48K IOPS read and 80K IOPS for write. 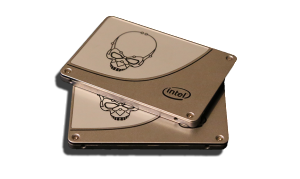 The Intel 730 series of SSDs is a PC enthusiast and workstation focused product. 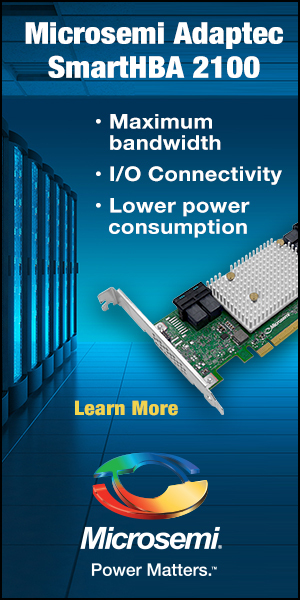 Featuring Intel’s 3rd Generation controller and 20nm NAND flash, this series puts out speeds of 550/270MB/s with up to 85K/56K IOPS read and write for the 240GB model. All three drives are backed by a five year warranty. Check out the Intel 520 review here. Check out our RAID 0 review of the Intel 730 here. Go to Page 2 for the rest of the deals! Something like the Cosair Neutron 240GB will be perfect , it also comes with mounting brackets that will make the SSD fit into the space taken by traditional hard drives .